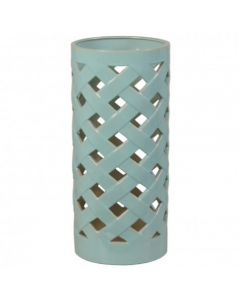 This elegant lattice designed ceramic umbrella stand is perfect for a hall or entry to store umbrellas. 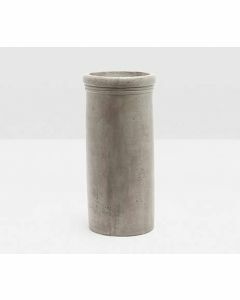 The stand measures 8" in diameter X 20"H and features a crackle glossy glaze finish. Ships via UPS/FedEx Ground. Click on image for greater detail.